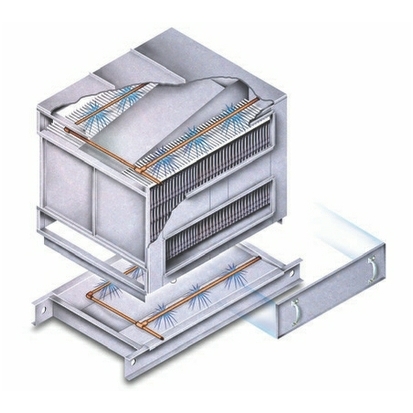 Z-Duct is a unique system designed specifically to permit the recovery of large amounts of energy that would otherwise be wasted. 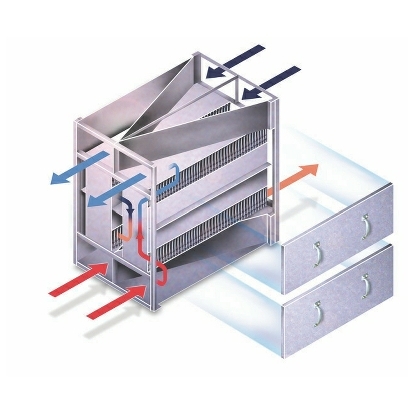 Counterflow air streams are brought into close proximity, separated by one continuous, dimpled and folded sheet of aluminum. The heat transfer surface is formed into a matrix with two completely separate and distinct air passages. The ends of the matrix are sealed for minimum leakage, virtually eliminating cross-contamination. Z-Duct heat exchangers are highly efficient, low cost and, with no moving parts to break down or replace, low maintenance. In air conditioning systems, Z-Duct heat exchangers make it possible to pre-cool incoming supply air by transferring energy from the outdoor air to the exhaust air. The reverse is true for heating systems. 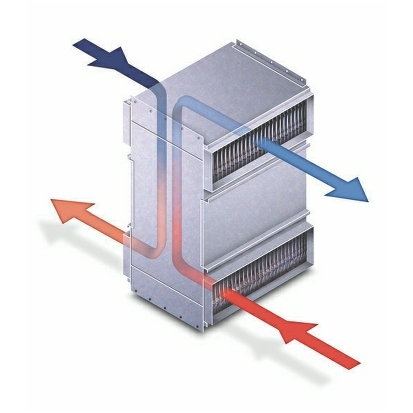 Energy is transferred from the exhaust to the outdoor air, thereby pre-warming the supply air. Less energy is needed to either cool or heat incoming air. This transfer of energy from exhaust to supply air greatly reduces fuel consumption, as well as, the equipment capacity required to condition the outdoor air. 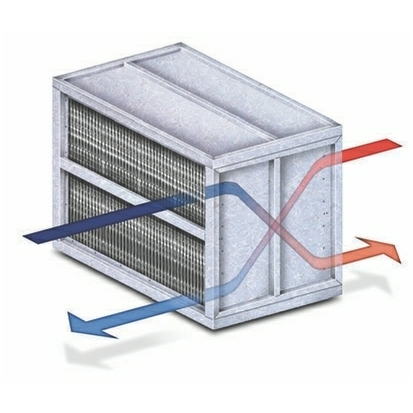 Z-Duct heat exchangers function economically in most applications where fresh outdoor air is being drawn into a building to meet ASHRAE recommended or code ventilation requirements, or to replace spent, stale, or contaminated air. 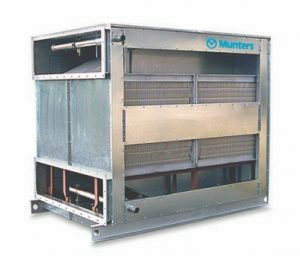 Printing plants, laundry rooms and indoor swimming pools are just a few of the many facilities that benefit from Munters Z-Duct heat exchangers. SMAC Enterprises is able to provide Munters Z-Duct heat exchangers for various HVAC systems whether it be new or existing units.